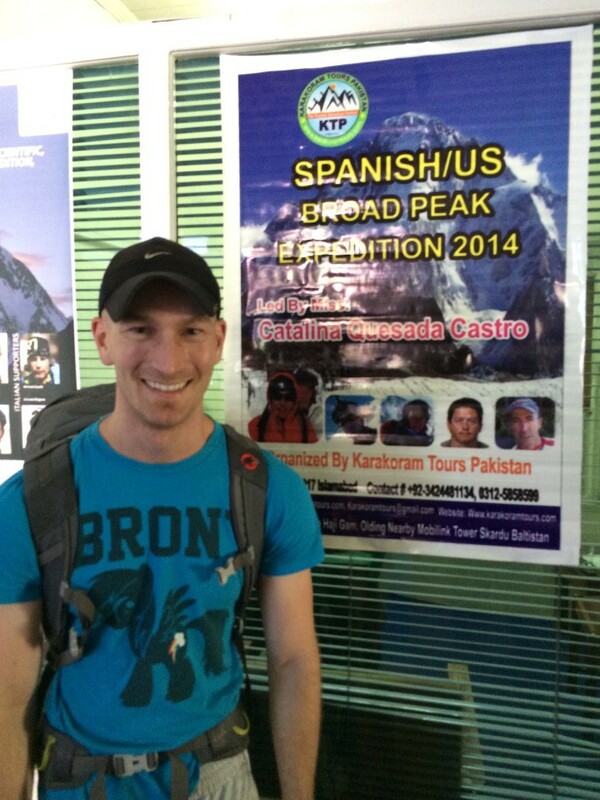 Nick in front of the expedition poster that we found posted at the K2 motel. 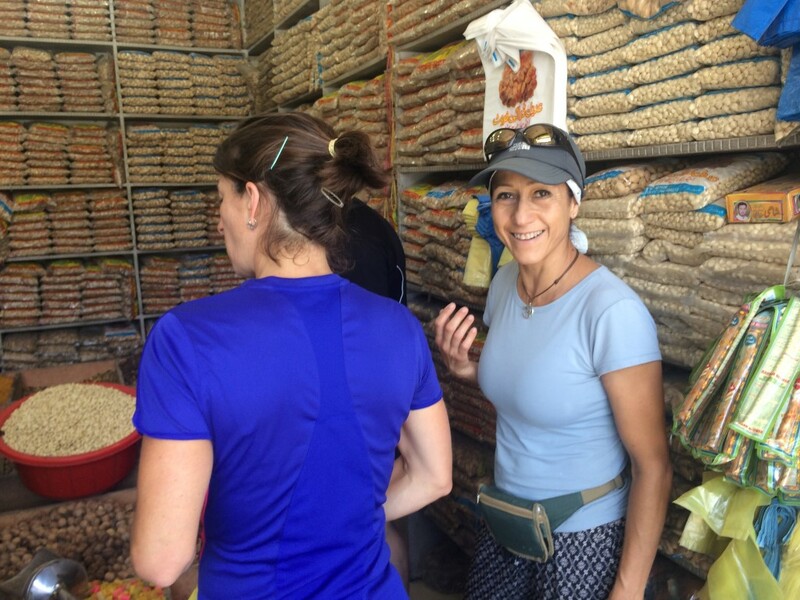 Today, we woke up at 8:00am and headed out into the bazaar to purchase some high altitude food and medicines that we will need for our expedition. We ate lunch back at the hotel, as all of the restaurants in town are closed for Ramadan, then spent the remainder of the afternoon organizing our luggage into 20KG loads for the porters. Tomorrow, we will wake up early and take a jeep to Askole (a seven hour drive on a very arduous road) where we will spend the night. The following day, we will begin trekking to Base Camp. 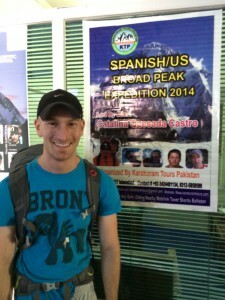 If all goes according to plan, we should arrive to Broad Peak base camp on July 6th, since we intend to utilize a slightly accelerated trekking schedule. Best Luck Nick, Lina, Csaba and SZilard!